Eitam Airbase - Former home to Canaf 25. Location coordinates: N31 04 E034 06. Elevation: 328 ft (100 m). Consists of a single runway 08/26 degrees of 7986 ft (2454 m) length. Built from scratch by Israel in 1977 after the withdrawal from Suez area. Located southeast of El Arish, in north west Sinai, (outside of the current Israeli border). Closed in 1981 under the Camp David Agreement and handed over to Egypt. Renamed El Gora by Egypt and used to house the UN MFO HQ in Sinai. Replaced by Ramon. 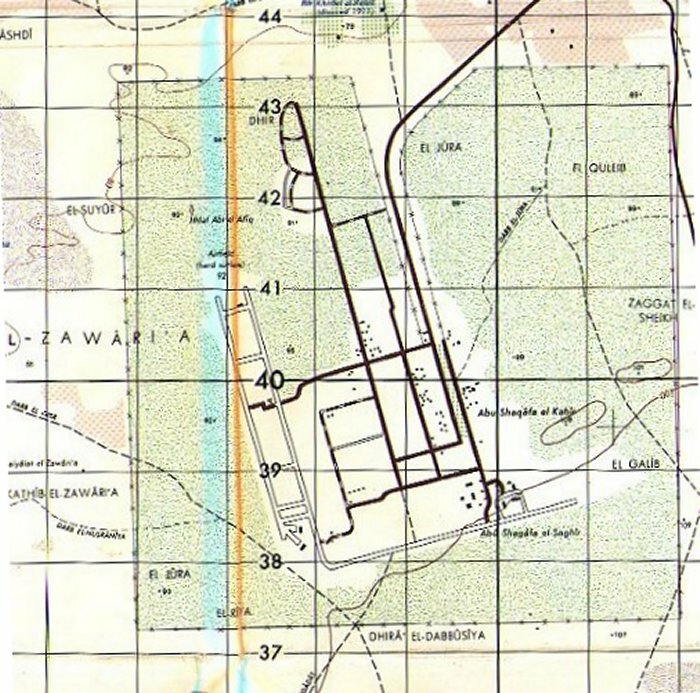 Aerial diagram of the airfield at El Gorah - 1988. This airfield was known as Eitam Air Base and was used by the Israelies between 1967 and 1979.